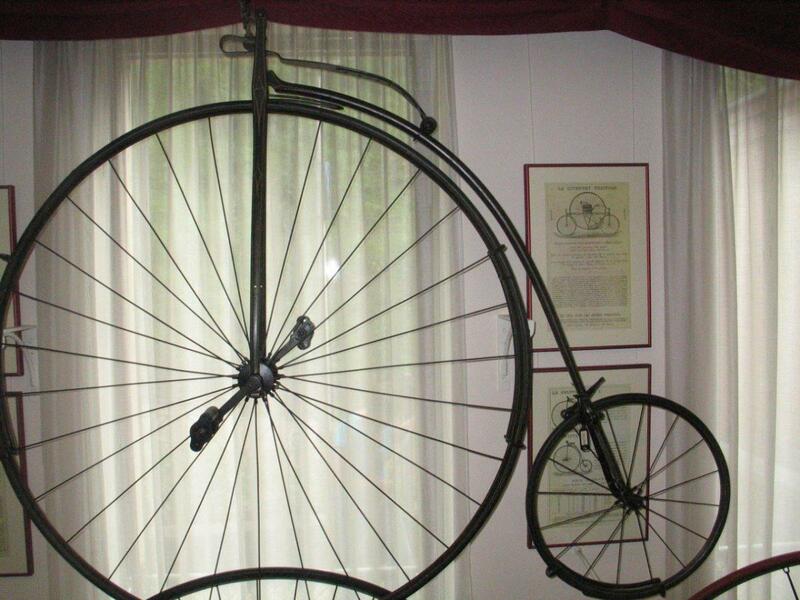 Haynes & Jefferis from Coventry was the first British firm to build a wire-spoked highwheel. 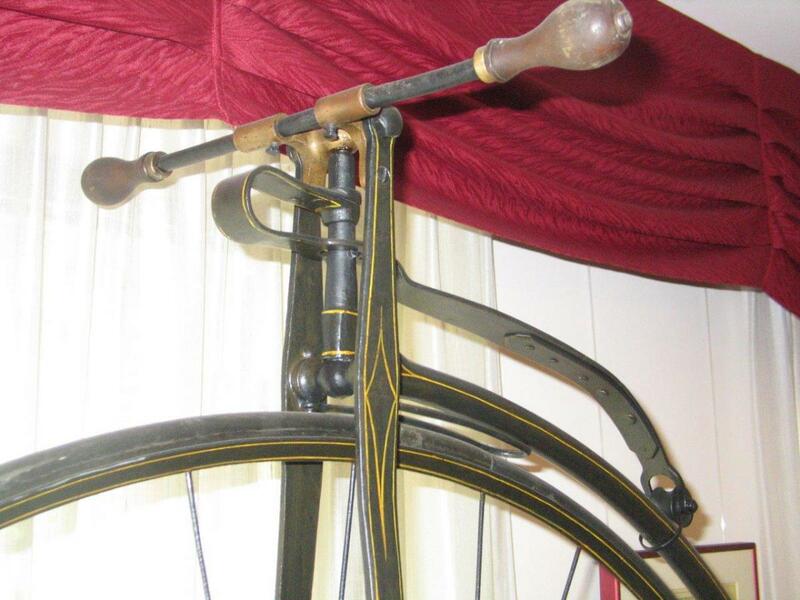 It was the Ariel, a revolutionary bike with a special system of wheel (spoke) tensioning. 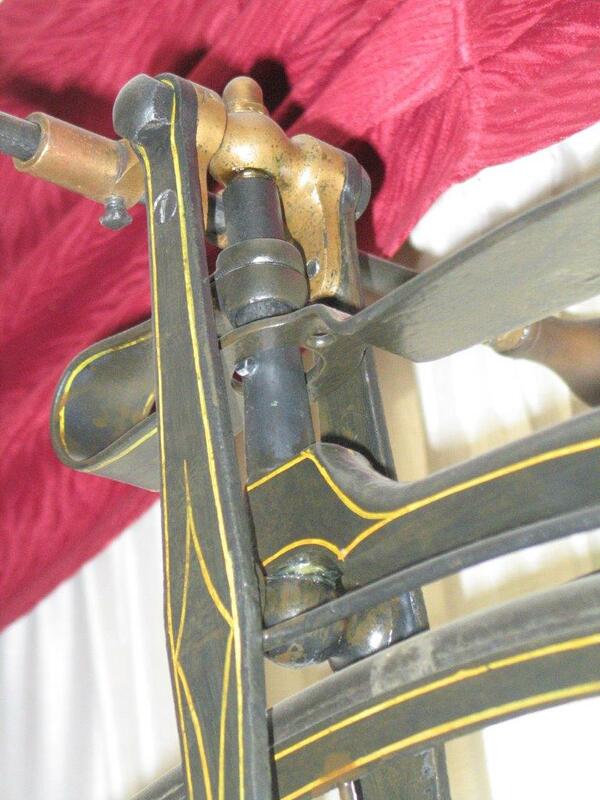 The design was made by James Starley, although William Hillman also signed the patent papers. 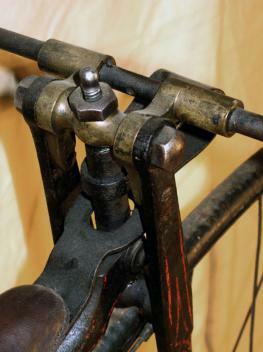 This Swiftsure, shown in the Velorama museum in Nijmegen, is only a bit more modern. 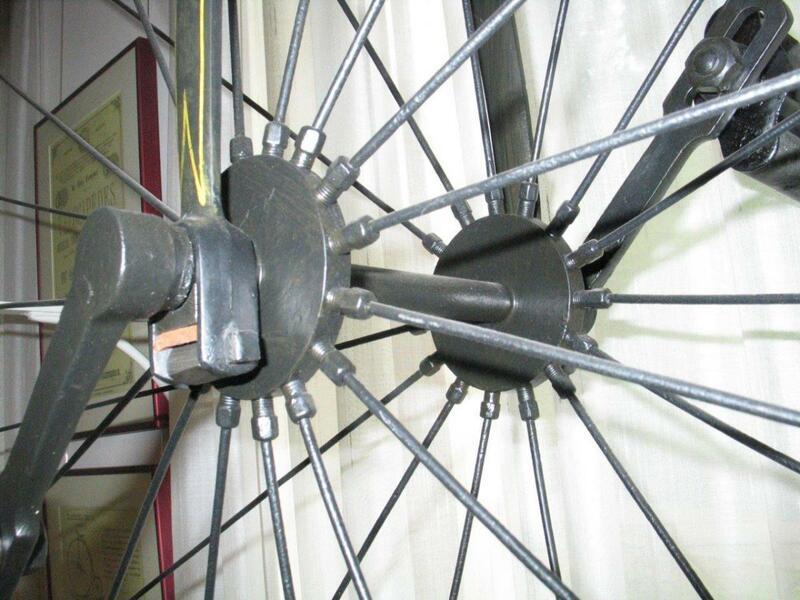 I am not sure if it has hollow or solid backbone, I guess it's hollow. 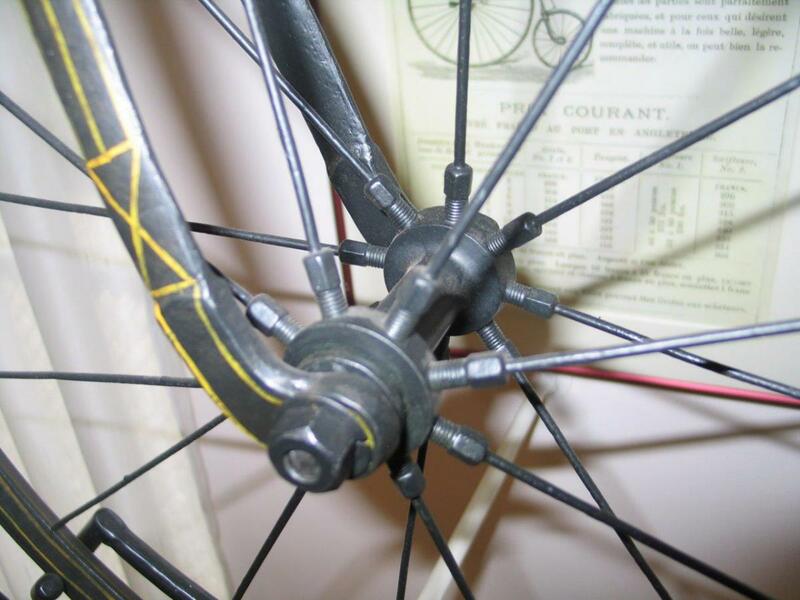 Forks are surely made of solid steel, it features details like open head, rear wheel brake, rooftop rims and plain bearings. 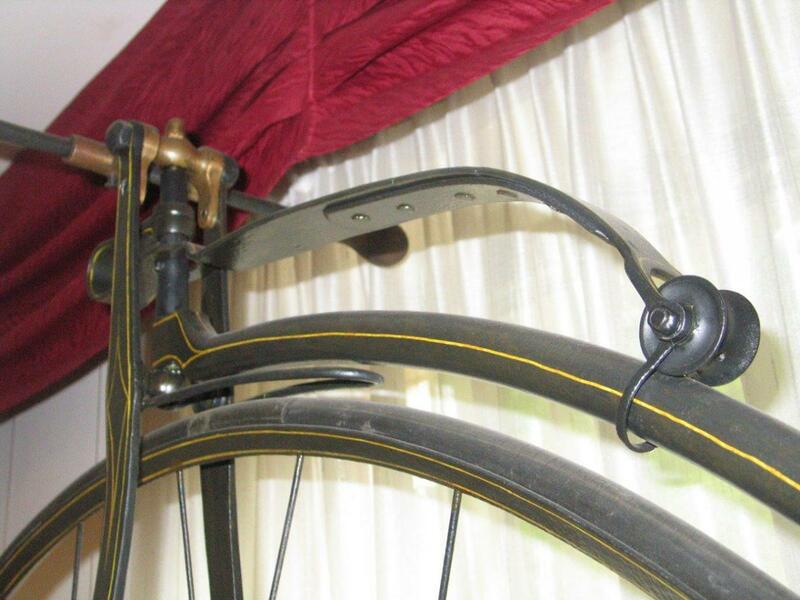 Here's a link to another example I found on the internet: a penny farthing in a rare condition: looks very original and even has its old decorations. Click the picture for the link. If it doesn't work, please send me an e-mail. 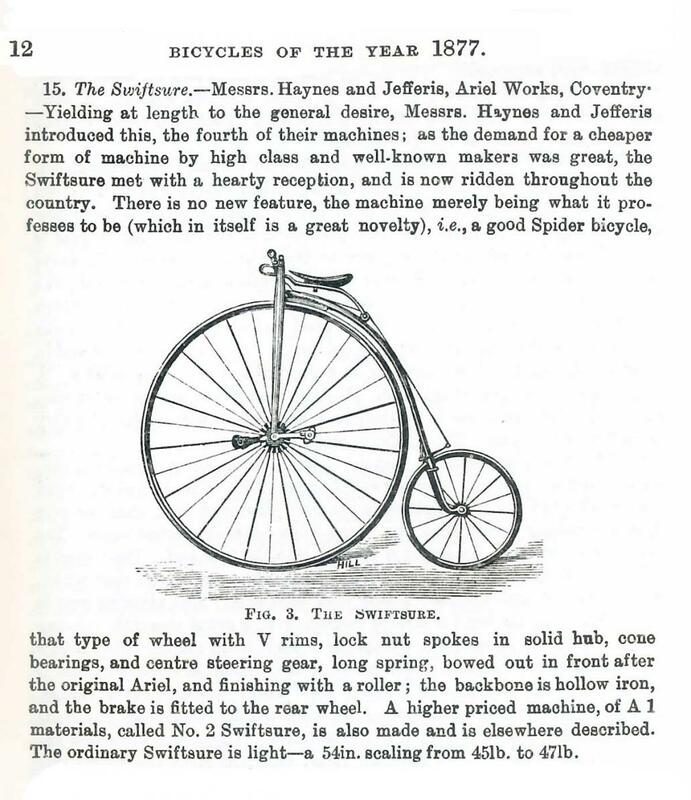 Here's a page from the booklet 'Bicycles of the Year 1877', a well known reprint. 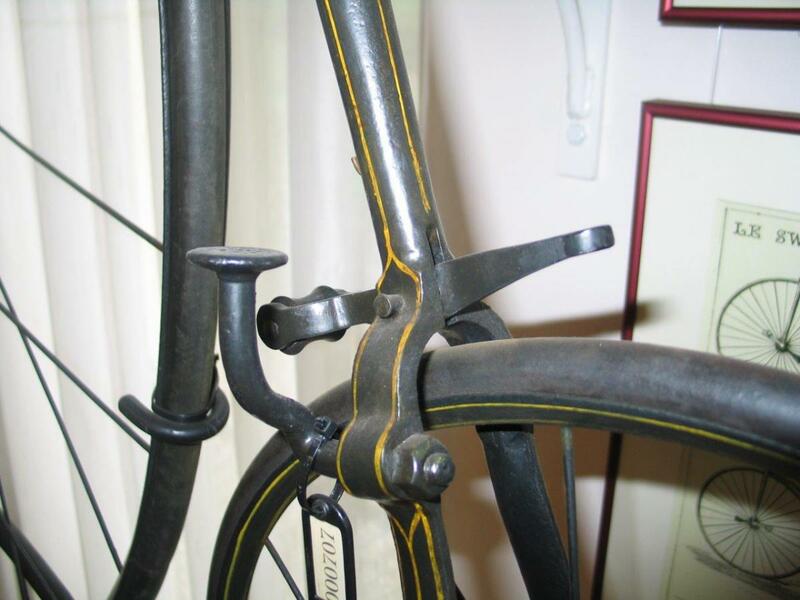 It tells us the 1877 model features a hollow tubular backbone.